Since 2014, the Kia Soul EV has been adding a whole lot of funk to the relatively stagnant electric vehicle segment. Now, it looks like the 2016 model is continuing this tradition—with a $2,000 price slash. Kia recently revealed a new entry-level version of the uniquely-styled EV, dubbing it the EV-e. 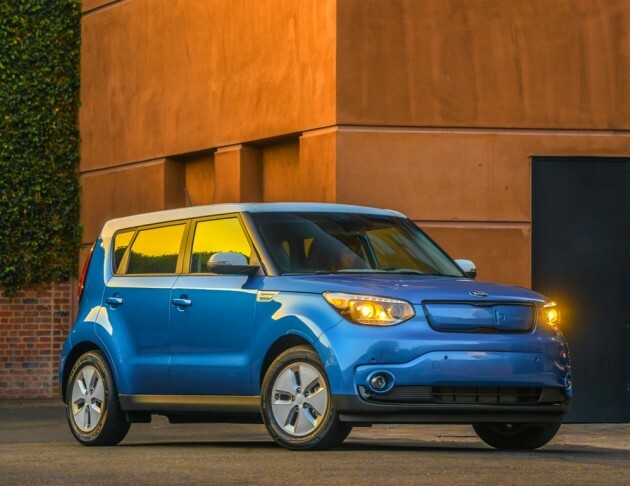 This new model has a starting price tag of $31,950, an astounding $2,000 price drop from the 2015 Soul EV base model. While you might equate the “base” trim level with minimal features, you would be wrong in this case. The 2016 Soul EV comes with push-button ignition, heated front seats, a six-speaker audio system, and Bluetooth® connectivity. It even has a heated steering wheel! Along with this entry-level model, the Soul EV will also come with the top EV+ trim, equipped with a new “Sun & Fun Package.” This includes a panoramic sunroof, LED interior lighting, and speaker lights that pulse along with music being played. No matter the trim level, though, owners of the 2016 Soul EV will have a charge-port nozzle lock, an illuminated AUX/USB port, and the option of two new exterior colors: Bright Silver and Shadow Black. With the full federal tax credit of $7,500, this makes the 2016 Soul EV starting price a measly $24,450. Not too shabby for an electric car!